The abortion pill can now be prescribed up to nine weeks into a pregnancy, rather than the previous limit of seven weeks, Health Canada announced Tuesday. Women will still be required to have an ultrasound. Women who want to use the abortion pill Mifegymiso can now take it farther along in their pregnancy, Health Canada said Tuesday in announcing changes to how the medication is prescribed and dispensed. As well, the drug that was initially known as RU-486 can be dispensed directly to patients by a pharmacist or a prescribing health professional. Prior to Health Canada's statement, there had been some confusion around who could prescribe and dispense the pill. 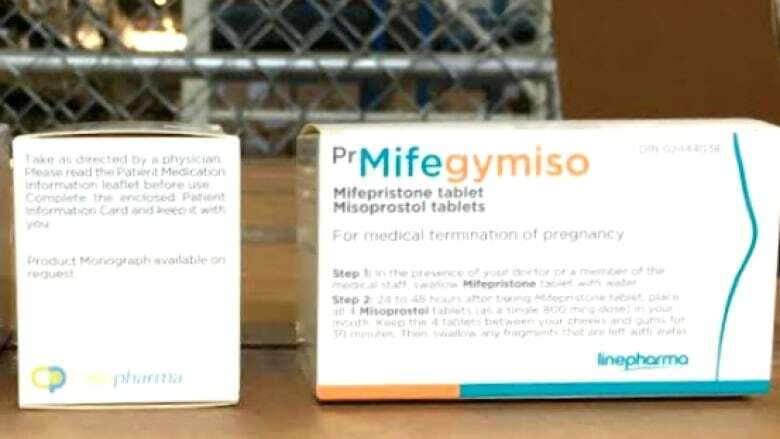 ​Mifegymiso is a combination product containing two medications, mifepristone and misoprostol, which are used in sequence to terminate a pregnancy. However, one carry-over from the previous version of Health Canada's prescribing guidelines is the mandatory requirement that women have an ultrasound to ensure they don't have an ectopic pregnancy — one outside the uterus — and an assessment of the length of gestation. Health Canada originally approved Mifegymiso in July 2015. The medication became available to Canadian women in January and its cost is now covered by several provinces.